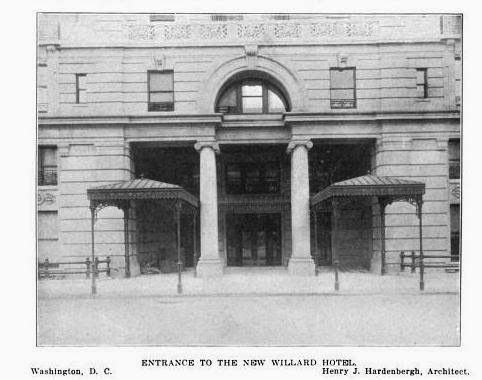 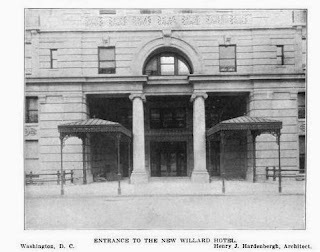 The Willard Hotel designed (altered) by Henry J. Hardenbergh c. 1901 at 1401 Pennsylvania Avenue in Washington D.C. Click HERE and HERE for more on the Willard Hotel and HERE to see it on google street view. 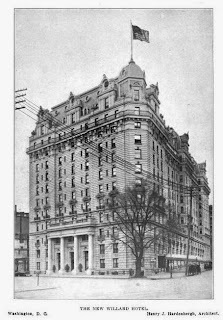 Labels: Henry J. Hardenbergh, Hotel, Washington D.C. 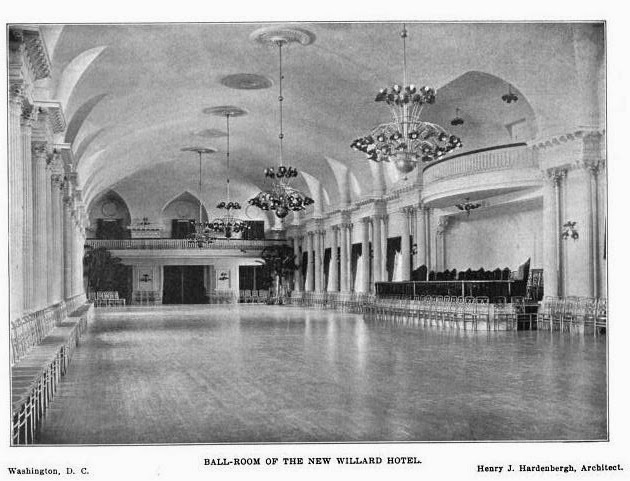 I remember that ballroom from 1964. It was already closed -- off-limits really -- and the paint was peeling.